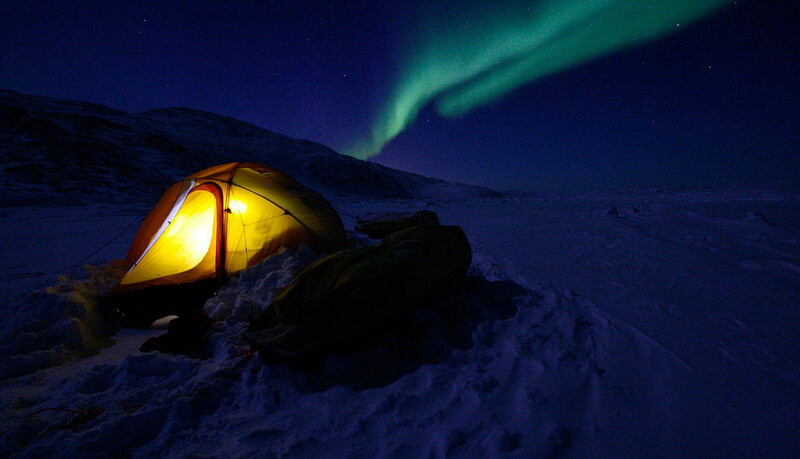 The Northern Lights top many people’s ‘must experience’ lists and March is one of the best times to see nature’s trump card. In a process that once mystified mankind, a solar wind stuffed full of charged particles gusts into the earth’s atmosphere and reacts with its magnetic field, creating the wafting haze of neon reds and greens that so bedazzles us mere mortals. The Northern Lights, also known as the Aurora Borealis, tick to the sun’s heartbeat and that heartbeat is getting stronger. Just ask the scientists who excitedly forecast that 2012 would bring Solar Maximum, the high point of the solar cycle. Except it didn’t happen and Solar Maximum’s arrival has been ruefully pushed back to 2013. Mother Nature is a fickle dame and there’s no way of knowing precisely when and where she’ll give the green lights. Even so, the Solar Maximum is still drawing closer and other signs suggest that February and March could burst with all manner of auroral fun and fireworks. Sunspot activity is at its highest level in a decade, the equinox is approaching on March 20, and geomagnetic activity is creeping upwards, all of which are scientifically known as ‘Good Things’. It’s clear that this is something of an educated gamble as a trip to see the Aurora Borealis could end in blank skies, so it is imperative to have other plans to cushion any disappointments. The question is: how far are you willing to gamble on this shy, whimsical wonder? Seeing the Northern Lights in Italy is unlikely but not impossible. Rome roughly shares the same latitude with Virginia, Arkansas and Georgia. These U.S states were all showered with the aurora at the time of the last Equinox in 2011, when geomagnetic storms caused the auroral oval to expand considerably more than usual. A cameo in Italy this spring would make a hell of a holiday story. Even if the aurora does not deign to grace the Italian stage, there is a consolatory raft of events lighting up the Spring calendar, including Milan’s Fashion Week and a host of Saints Day festivals. What’s more, warming spring temperatures make it the ideal time for cycling holidays, adventure holidays or simply a relaxing break, all more winsome options for the casual aurora fan than the bone-chilling temperatures of the Arctic Circle. Northern parts of Scotland often witness auroral activity, as only a small expansion of the auroral band is required. The wretchedly unpredictable Scottish weather is the most likely factor to dash hopes of a sighting. Although Edinburgh is roughly on the same latitude as Copenhagen, for example, the probability of clear skies here is considerably less than in the Danish capital. Still, Scotland is easily within reach of anywhere in the U.K, an invaluable asset in the face of Aurora’s capriciousness. Helpfully, the geomagnetic storms that cause auroral activity sometimes reoccur 27 days later, in accordance with the solar cycle. Not enough time to plan an Alaskan expedition perhaps, but enough time to arrange a bracing adventure weekend away. Banking meltdowns and volcanic eruptions have kept Iceland in the news for all the wrong reasons in recent years, but the country lies within the all-important auroral oval and offers up to an 80% chance of a sighting. City lovers can take their chances and stay in the cool-as-ice capital, Reykjavik, but dedicated aurora hunters should head further north, away from the city lights. Even if the sky disappoints, there is much to see at ground level. Iceland’s vast array of walking holidays soak up the country’s abundance of geysers, hot springs and glaciers. The depreciation of the local currency means visitors get 50% more bang for their buck than in 2007. This, coupled with cheap flights from the UK, make Iceland a surprisingly economic option. Notoriously expensive, Norway is the place to go to maximise your chances of seeing the aurora in Europe. The north is right in the heart of the auroral zone and chances of an appearance on any clear-skied night in March are close to 100%. The only cloud on the horizon is the precipitation levels, which are higher than the UK in March, making Norway a pricey gamble. Tromsø is a favourite choice for aurora hunters and has enough daylight in March to try unusual activities like dog sledding, reindeer sledding and snowshoeing. The No Fiesta Siesta music festival, from March 8-13, injects some much-needed Latin heat and the festive atmosphere is bound to cheer up the most disheartened of Lights seekers. Alaska is an adventurous option for the Bear Grylls wannabes. March delivers the clearest skies, and the new moon, increasing the chances of seeing the aurora. The further north you venture, the more clear days there are, but temperatures also drop dramatically. Fairbanks is a popular destination for aurora hunters but be prepared to leave the city for the best chance of a sighting. Alaska is a once in a lifetime, adventure paradise for hardy souls. Hiking, biking, canoeing and rafting are terrific ways to see the inhospitable but spectacular landscape, while a lucky few may catch a glimpse of bears, moose and caribou. Just remember to take your long johns. Have you witnessed the Northern Lights? Tell us your story in the comments. So magical, I’ve dreamed of witnessing the Northern Lights for ages.